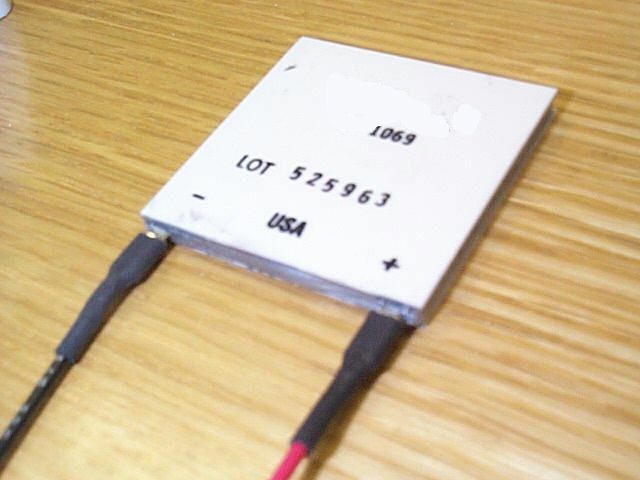 Semi conductor thermoelectric device which works on the Peltier effect. When supplied with a suitable electric current, can either cool or heat. Also when subjected to a externally applied temperature gradient can produce an electric current. Ideal for cooling or controlling the temperature of sub assemblies.